Today, Chile's President Michelle Bachelet signed into law protections for nearly 450,000 square miles of waterâ"an area roughly the size of Texas, California and West Virginia combined. Split into three regions, the newly protected areas encompass a stunning range of marine environments, from the spawning grounds of fish to the migratory paths of humpback whales to the nesting grounds of seabirds. 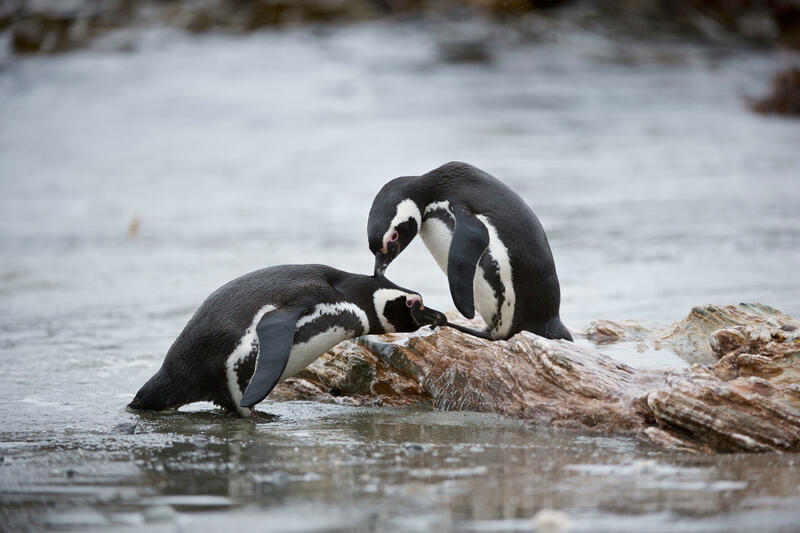 "The Chilean government has really positioned itself as a global leader in ocean protection and conservation," says Emily Owen, an officer with Pew Bertarelli Ocean Legacy Project, which has worked for over six years to help make these protected waters a reality. With the new parks, more than 40 percent of C hilean waters have some level of legal protection. The largest of the three regions is the Rapa Nui Marine Protected Area (MPA), where industrial fishing and mining will be prohibited but traditional fishing remains permissible. At 278,000 square miles, this area encompasses the entirety of the economic zone of Easter Island, safeguarding more than 140 native species and 27 that are threatened or endangered. Notably, it is one of the few marine protected areas in the world in which indigenous people had a handâ"and a voteâ"in establishing the boundaries and level of protection. "I like to think of Easter Island as an oasis in the middle of an oceanic desert," says Owen. The islands themselves are the peaks of an underwater ridge teeming with life. They also provide important spawning grounds for economically significant species like tuna, marlin and swordfish. The second largest region is 101,000 square miles around Juan FernÃ¡ndez Islands, located some 400 miles offshore Santiago, Chile's capital. Like Easter Island, these islands are also the peaks of lofty submarine mountains that rise from the deep ocean. But their slopes foster an unusual mix of tropical, subtropical and temperate marine life. All fishing and extraction of resources will be prohibited in this region, which boasts the highest known percentage of native species found in any marine environment. This area joins a small number of waters with complete protection: Only about 2 percent of the oceans are fully protected to date. Finally, around 55,600 square miles of fully protected waters encompass the kelp forests of Diego Ramirez island, Chile's southernmost point. Like the trees of a rainforest, the towering lines of kelp support a bustling underwater city and nursery for young sea creatures. These massive photosynthesizers are also believed to lock away a significant fraction of the worldâs carbon dioxide. The Diego Ramirez waters are some of the last intact ecosystems just outside the Antarctic region. 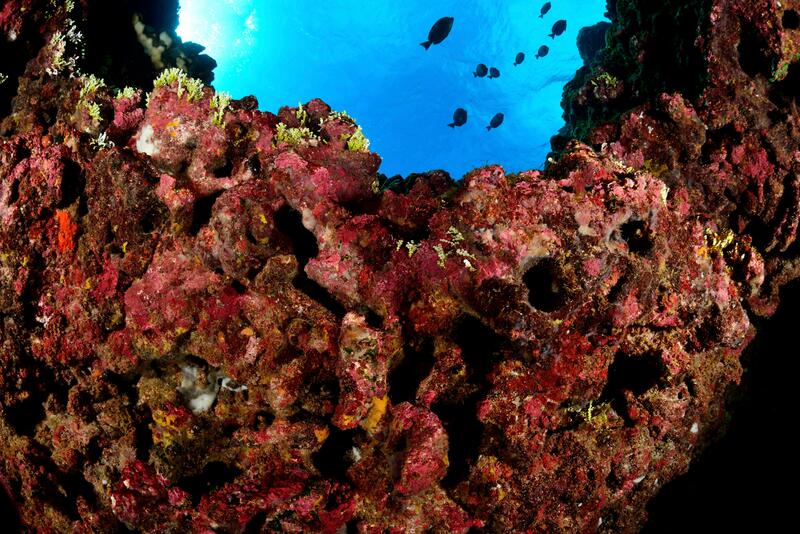 "It's really wild and pristine," says Alex MuÃ±oz, director for Latin America of Pristine Seas, an initiative from the National Geographic Society that provided scientific support for the creation of the Juan FernÃ¡ndez and Diego Ramirez protected regions. The three parks cover a range of environments, from the kelp forests of Diego Ramirez to the coral reefs of Easter Island. Oceans are the lifeblood of Chileans. With a narrow mainland featuring 4,000 miles of shoreline, the country is one of the world's major fish exporters, providing $5.7 billion worth of seafood to countries around the world in 2016 alone. But the fisheries have suffered in recent years from overfishing and illegal operations in Chilean waters. At their peak in 1994, local and industrial fishermen were extracting millions of tons of seafood. But by the early 2010's disaster was on the horizon, according to a 2013 investigation by Public Radio International. The Jack Mackerel, a particularly popular fish, provides a potent example of this decline. In the mid 1990s, fishermen netted 4.5 million tons of the fish, but by 2012 they caught fewer than 300,000 tonsâ"due in large part to overfishing. But conservation groups and the Chilean government have been working to reverse the trend. The new protected waters could shelter marine critters and help restore nearby areas through the "spillover" of ocean life outside the park, explains Mary Hagedorn, a research scientist with Smithsonian's Conservation Biology Institute who wa s not involved in the park creation. "The more we can protect these really productive areas, the more we allow spillover and recovery of [other damaged] areas," says Hagedorn. "Chile has demonstrated that being a fishing country doesn't mean that you cannot also be a leader in marine conservation," adds MuÃ±oz. "It is true that Chile degraded its marine resources in the past, but now it has completely changed its vision and â¦ found the value [of] protecting its oceans." An array of seabirds, including many species of albatross, petrels and penguins, live in the vicinity of Diego Ramirez island. The Rapa Nui, who are the native Polynesians of Easter Island, were instrumental to the the creation of these protected zones. Ludovic Burns Tuki, executive director of Mesa del Mar, the organization spearheading the work towards ocean protections, stresses the Rapa Nuiâs deep connection to the ocean. Renowned navigators who took to the seas hundreds of years before Europeans, their relationship to the ocean is one of "divine relation," says Tuki, who has a Rapa Nui and Tahitian background. He explains that the ocean is a connection to the gods, and helps the Rapa Nui navigate the world, supplying food and providing waves for them to surf and dive. Initially the Rapa Nui strongly opposed the idea of a marine park, fearing that such protections would take these important waters out of local hands. This fear has a historical basis: In 1933, for example, without consulting the Rapa Nui, the Chilean government declared the entirety of Easter Island public lands under the jurisdiction of the national government, meaning land could be lea sed for sheep farming and resource exploitation without local consent. So when it came to a marine park, there was little trust that the protections would benefit the Rapa Nui. "There is so much that the state has [done] to my people," says Tuki, "I understand [the concerns]." He voices the people's worries over the marine park: "Restriction means I'm going to be a prisoner in my own ocean and my own land." Tuki, a avid spear fisherman, was originally of this same thinking. But as he saw fish populations declining, he grew more concerned for the future of his two children. As Tuki explains, "I say to my people: What we are going to decide ... right now, it's going to be future of the next 50 years of Easter Island." It took years of extensive public outreach through weekly local meetings, radio appearances, and work with local schools, to foster a movement among Rapa Nui to prot ect the waters. But in September of 2017, the Rapa Nui voted with overwhelming support of the marine park. 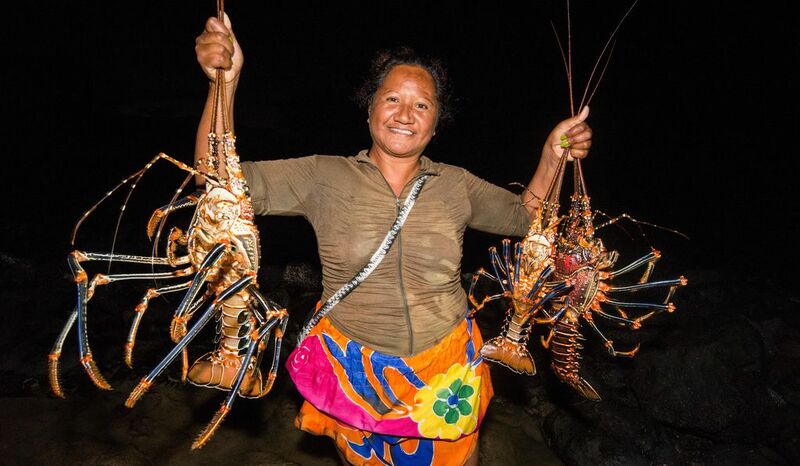 The protections will prevent industrial fishing and mineral extraction, but still allow the traditional fishing methods of Easter Island's people. The catch of traditional fisheries is often "not insignificant," says Hagedorn, but local fishing is often less detrimental than industrial extraction. Traditional hook and line methods target specific creatures, rather than netting massive swaths of marine life and killing off unwanted catch as is common with industrial vessels. And the goodwill fostered on both sides of the table is worth the compromise, she says. "If you want to improve MPAs, and you want them to be more effective â¦ you have to have that flexibility, you have to have that discourse and respect," she says. That was certainly the case for the Rapa Nui, whose support hinged on gaining exclu sive fishing rights in the park. And most importantly, the people will also be involved in the management of the newly protected area. In a rare move, elected Rapa Nui officials will have the majority vote on the council tasked with regulating the waters. Like his ancestors before him, Tuki believes these past and future efforts are merely an act of reciprocity. "This work that I do for the for the ocean of Rapa Nui is to give back what the ocean has given me all these years," he says. "From the surfing to the diving and the navigationâ"all these great moments, and all this food that the ocean gives to me, I have to give back. That's the balance." The Rapa Nui will have exclusive fishing rights to the waters of the new marine protected area around Easter Island. As with all marine protected areas, the resulting boundaries represent a compromise between opposing interests. Though conservation groups recommended a much larger area of protections in southern Chile, pressure from the Chilean sea bass industry led to a reduction of the planned park bounds and elimination of proposed protections further north around Cape Horn, MuÃ±oz explains. "That fishery is completely collapsed," he says. "But the pressure was so strong the government decided not to protect the Cape Horn area...We're all sorry about that." Still, the protections are an important step in working toward larger-scale conservation of marine resources. The International Union for Conservation of Nature (IUCN) suggests that at least 30 percent of the world's oceans must be protected to help effectively conserve marine life and cope with the changing climate and pressures from the fishing industry. Chile has made great strides toward this goal. The new protected regions join the Nazca-Desventuradas Marine Park, which encompasses 115,000 square miles of ocean. "It's going to be very interesting to see how Chile and other nations can inspire protection," says Owen. "We can kind of ride this wave, forgive the pun, towards that 30 percent." Yet there remains much to consider with the newly protected parks, explains Miriam FernÃ¡ndez, professor at the Pontificia Universidad CatÃ³lica de Chile and Director of the Center for Marine Conservation. The push to establish a growin g number of protected waters has often ignored the pressing issue of enforcing regulations. "For the Chilean government, there were significant advances in meeting international compromises (fraction of the ocean protected), but not significant advances in creating the institution that will assure actual protection, and the substantial funding that it will require," she writes in an email to Smithsonian.com. And NGOs, though they work to establish the MPAs, often disappear once the protections are signed into law, says FernÃ¡ndezâ"just when the region needs them most. Fortunately, Pristine Seas does plan to stick around, helping the government to optimize the use of limited funds and target areas most vulnerable to illegal fishing using advanced satellite imagery techniques. Tuki is optimistic but realistic about the new protections. "Now, there is a lot of work to do,â he says. "This is only the first step."